Watch Miko play Fancy Skulls here! I admit that when I first saw Fancy Skulls, based purely on the art, I thought it was going to be someone’s first attempt at a game. The graphics looked plain and combat rather simple. I think there’s an expression about not counting chicken covers before they’ve hatched into books that fits here. Something like that. 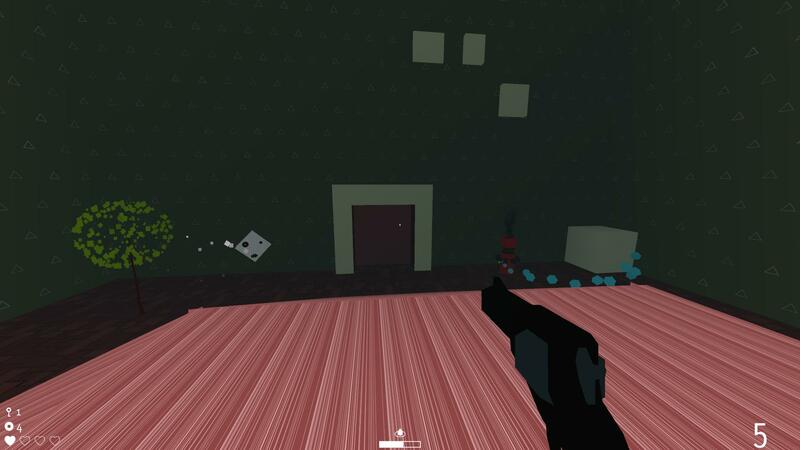 Fancy Skulls is a first-person shooter which pits the player against a different enemy encounter in each room they enter amongst a series of floors. Enemies are activated by walking over a large button in the center of the room and it’s your job to determine in an instant what you’re fighting, what safe zones you have, if any, and how you’re going to clear the room. Once the room is cleared, you’re free to advance to another. Progress is not entirely linear and is dependent on what the random level generator creates. Sometimes you open a gateway to the next floor immediately, sometimes you need to clear the entire floor before you can move on. While most enemies tend to fire red and blue balls (heh) at you, some launch “heat-seeking”, floating bombs in your general direction that lock onto you. You can either shoot them back at the attacker or kill the attacker outright if you can get a clear shot. A particularly painful baddie bounces around the room, firing lasers at you and demands quick reflexes to take out. The art style I mentioned above is Googie-esque (think The Jetsons or classic Star Trek sets) and is pleasing to look at. Enemies have peculiar shapes that are really cool and fitting. I got a kick out of this. What Worked: The game isn’t on rails and allows the user to to begin a fight when they are ready. Randomized secondary weapons that spawn create a different experience each playthrough. While I poked fun at the art style right away, once I saw it in action for myself, I really enjoyed it. Then again, I recently discovered that I love Googie design almost as much as I love Art Deco. FINE! Call me biased! What Didn’t Quite Work: Some of the art assets look very similar to treasure chests. So much to the point I was confused for a bit when a box wouldn’t open for me, no matter how much I spammed the Use key.. While I eventually figured out the difference between black box vs. off-kilter black box, it’s confusing for a new player. The UI had some some sounds and glowy things going on that I’ve yet to figure out. In a few instances, a locked treasure chest spawned but I wasn’t able to collect a key until the second level and couldn’t go back, leaving me feel like I’m missing something or the random generator isn’t perfectly tuned yet. Finally, some of the non-weapon items are a bit confusing such as a “Happy Eye” that left me no clue what it did until I used it. About the Game from the Dev: Fancy Skulls is a challenging first person shooter with procedural generation, permadeath and distinct art style. It has intense and tactical combat, unique weapon mods and items that change the way you play. It has been inspired by games such as Nethack, Binding of Isaac, Spelunky, Bioshock, Quake and Team Fortress 2 as well as abstract impressionism, tribal art, and low-poly 3D modeling. 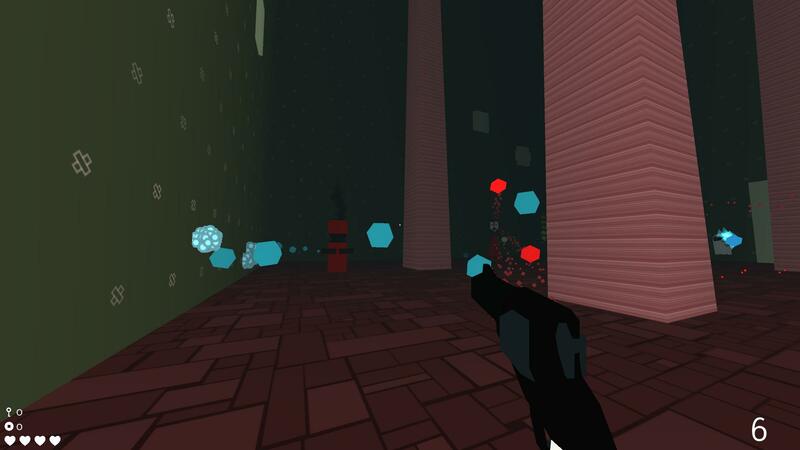 About the Dev: tequibo has eight games to their name dating back to 2009. Working on Fancy Skulls for a year and a half, the hope is to have it Greenlit on Steam to have it played on Early Access, using the money to support working on it to pay for rent, food, and socks.